Elena Krawzow gave the home crowd a reason to celebrate on the last day of competition (10 June) of the World Para Swimming World Series in Berlin, Germany. The London 2012 Paralympic silver medallist set a new world record in the women’s 200m breaststroke for the SB12 after clocking 2:46.20. 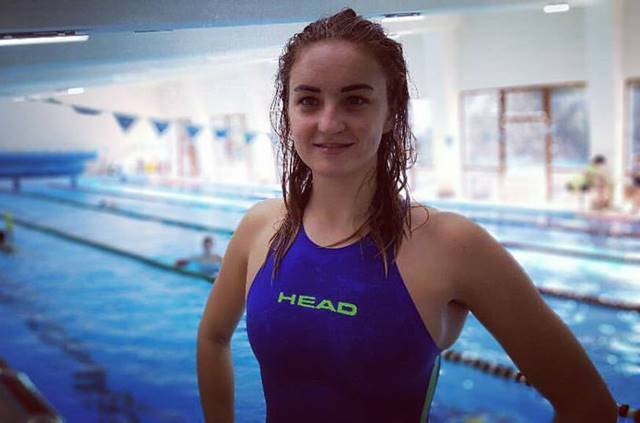 She knocked off over five seconds from the mark of 2:51.72 set by Cyprus’ Karolina Pelendritou’s at a competition also in Berlin three years ago. “I am very happy about competing here in Berlin,” said Krawzow. “It is the third World Series event I compete in and it feels good to win the gold medal and break the world record. There were two more world records set in this event. Netherlands’ Chantalle Zijderveld (2:47.65) broke one for the SB9 class. It was her second in two days after setting a new mark in the women’s 50m breaststroke the day before. The third world record was broken by Great Britain’s Louise Fiddes (SB14), who set a time of 2:42.45. Krawzow took gold by scoring 969 points, followed by Zijderveld (912) and Belarus’ Anastasiya Zudzilava (849). Fiddes (792) ended in fourth place. Mexican Diego Lopez (S3) delivered a glittering performance in the men’s 100m backstroke. He set a new world record of 1:34.01 in the heats, before going on to break it again in the final with a time of 1:32.83. 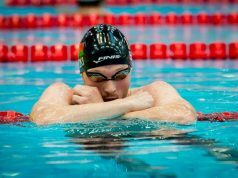 “I swam many different races over these four days so I was not sure I would be able to perform well. So breaking the world record twice exceeds my expectations. I am very happy,” he said. The 2017 world champion also claimed gold in the event after scoring 965 points. Netherlands’ Marc Evers (863) and Argentina´s Matias de Andrade (823) ended second and third, respectively. Singapore’s Pin Xiu Yip (928), Canada’s Shelby Newkirk (872) and Germany’s Verena Schott (869) made up the podium in the women’s equivalent. Italian Carlotta Gilli (839) won her fourth gold medal at the Berlin World Series in the women´s 50m butterfly. Spain´s Sarai Gascon (824) ended second and Sweden’s Maja Reichard (822) third. Czech Republic’s Arnost Petracek (970) topped the standings in the men’s equivalent, ahead of Slovenia’s Darko Duric (921) and Uzbekistan’s Islam Aslanov (920). Dutch swimmer Liesette Bruinsma (925) won gold in the women’s 200m individual medley. She was followed into the podium by USA´s Jessica Long (878) and Great Britain’s Eleanor Simmonds (868). There was a Colombian 1-2 in the men’s equivalent, with Carlos Serrano (976) claiming gold ahead of Nelson Crispin (907). Uzbekistan’s Dmitriy Horlin (853) collected bronze. Norway also secured a 1-2 in the men’s 200m breaststroke as Adam Ismael Wenham (829) sealed gold ahead of Andreas Skar Bjornstad (804). Uzbekistan’s Firdavsbek Musabekov (798) secured bronze. The mixed 4x50m freestyle saw Kazakhstan taking gold ahead of two German teams – BS Brandenburg sealed silver and Para Swim Team NRW claimed bronze.